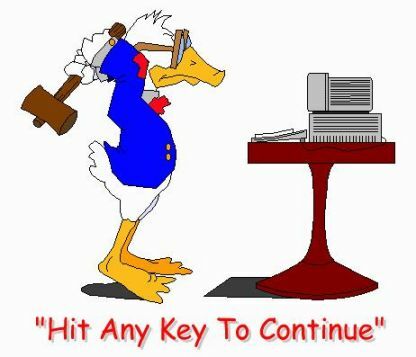 New customer to Tech Support: “It says, hit any key and when I do that nothing happens'. Tech Support: Can you try again and tell me what happens? Tech Support: “What key did you hit? After a moment and some "chick ling" sound the customer replied: Well, first I tried my car key and just now my office key.